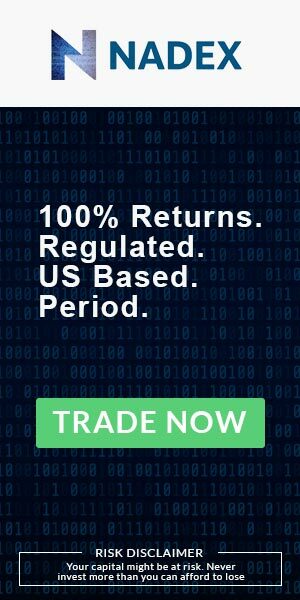 Safe Binary Options Brokers - Which Brokers Are Legit? Do you know what the worst thing a binary options trader can do? What you can do? Making the wrong prediction… or… Using the Martingale strategy… or… Accepting the deposit bonus. You don’t know? Well, let me tell you. The worst thing you can do is sign up to the wrong broker. Worse yet – you sign up to a scam broker. What’s scary is this isn’t terribly hard to do. It’s pretty cheap for guys to start a binary business in a box from their mom’s basement. Almost anyone can do it. That explains why there are hundreds of brokers online. Most are crap with a few good ones mixed in. The odds are against you, my friend. So your mission – should you choose to accept it – is to find a legit, honest and safe binary options broker to join. Keep reading – I’m going to show you. We based our decisions on a few factors which I explain below. But the most important thing is how long they’ve been in business, that they pay their customers and haven’t scammed anyone. How Do We Determine Which Brokers Are Legit? We do a lot of research before we recommend a broker. Forums – We look for user reviews and anything that might indicate the broker is a scam – preferably with proof. We also look to see if the broker gets involved in the discussion which is usually a good sign that they care. User Reviews – Same thing here. We look for scam complaints and anything that might have to do with slow payments, shoddy support, etc. Blacklists – A broker can’t be considered legit if they have a tendency to make scam or blacklists. Other Reviews – We don’t give these the same amount of credit because most reviews are biased. But we do look to see if there’s a common pattern from one review to the next. For example, if each review talks about a scam the broker is known for, we’re more likely to take that seriously. Withdrawals – Does the broker pay out winnings? And how fast do they take to pay you? Are traders having a difficult time getting their money? Time in Business – This matters because if a broker has only been around for 6 months, chances are unless they blatantly scam their traders there’s no way to know how good or bad they are. What do customers think of them? Have they done anything shady, like go back on their own terms and conditions or link a player to a deposit bonus just because? Are they licensed and regulated? This isn’t a deal breaker, but it’s nice to see since licensed and regulated brokers have standards to meet to keep their status. Customer support. Do they give traders the runaround? Are they helpful? Do they stick around to get your deposit, but disappear when you ask for your money back? Does the broker sell too hard? Are they too pushy? This takes time because there’s a lot of muck you have to weed through. Many customers complain about dumb things that are actually their fault. Like signing up to a deposit bonus and now they can’t cash out. Or they’re losing money. Keep in mind – this isn’t an end all. I think you have to apply some common sense. But the general idea is to figure out if the broker is trustworthy enough for you to sign up to. NEWSFLASH: Most review sites do not have your best interest in mind. They will sell you on any broker because they’re going to make a commission. The more people they send, usually the more money they will make per person. Many of these guys figure “buyer beware” and will recommend you to anyone that pays them enough money. How are we different? We make money the same way, but would much rather play the long game. There’s way more benefit in being honest with you and showing you truly legit binary options brokers. You’re more likely to sign up to more of them and maybe tell your friends about us. Plus the more you like the broker we recommended, the more money we make. Be careful who you take your advice from. There are TONS of books on Amazon and TONS of binary options websites on the web that talk like they’re a true authority. But the reality is that many websites and book owners have never traded options before – for fake or for real money. So I recommend being overly cautious and assume most people don’t have your best interest in mind until they prove otherwise. That should help you avoid the shoddy hucksters that just want to sell you a book, piece of software or whatever, which puts the odds in your favor that you’re more likely to find a legit broker or authority figure.